It has recently come to our attention that Jared Leto shall assume the role of artist Andy Warhol in a forthcoming biopic, produced by Leto, Michael De Luca and Terence Winter. It’s still in the developing stages, obviously, but I can safely say at this juncture that a take on a well-tread subject written and produced by a guy whose last two major projects were about powerful white guys snorting rails and getting laid doesn’t particularly float my boat at the current moment! Who knows, though; perhaps it will be the greatest movie ever made. 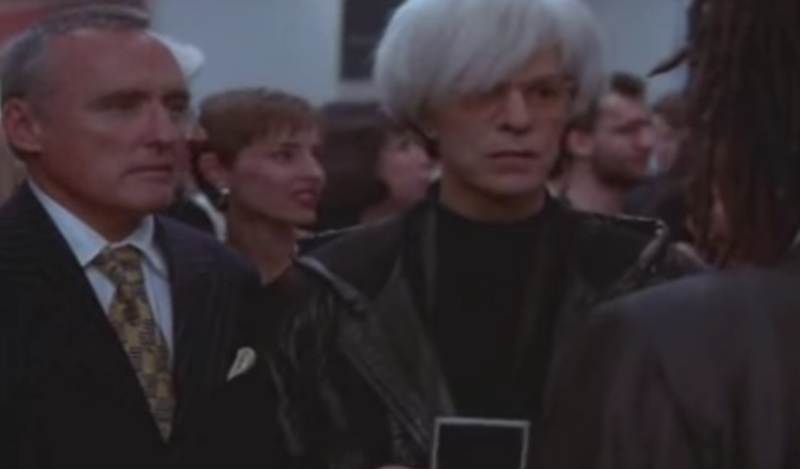 Nevertheless, the fact remains that we’ve already seen the definitive take on Andy Warhol, and that was performed by his friend David Bowie in the film Basquiat. I know that Jared Leto is an Oscar-winning actor and David Bowie was just... David Bowie, but I’m going to venture to say that, unless Leto studies Bowie-Warhol the way he studied Nicholson/Ledger-Joker, this guy is not going to reach the levels of droll weirdo credulity and wacky art-scene braingames that David Bowie was able to attain. And I do say this knowing full well that John Cameron Mitchell played Andy Warhol in Terence Winter’s Vinyl! In 1996, Basquiat director Julian Schnabel told Charlie Rose, “The greatest compliment that I could have was Lou Reed coming up to me and saying that he felt that Andy was finally portrayed in a way that was close to what Andy was really like.” Thank you!